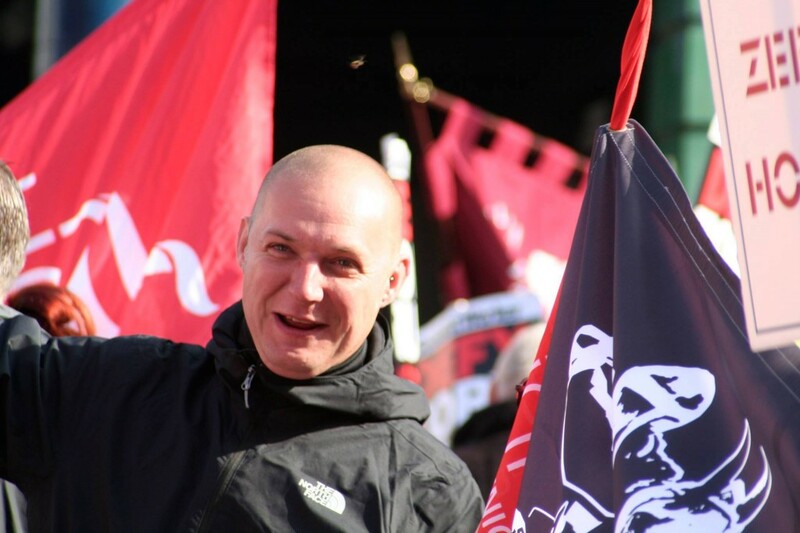 Fight the Trade Union Bill! · Employers will be able to break strikes by bringing in agency workers to cover for strikers, which could risk public safety and impact on the quality of service. 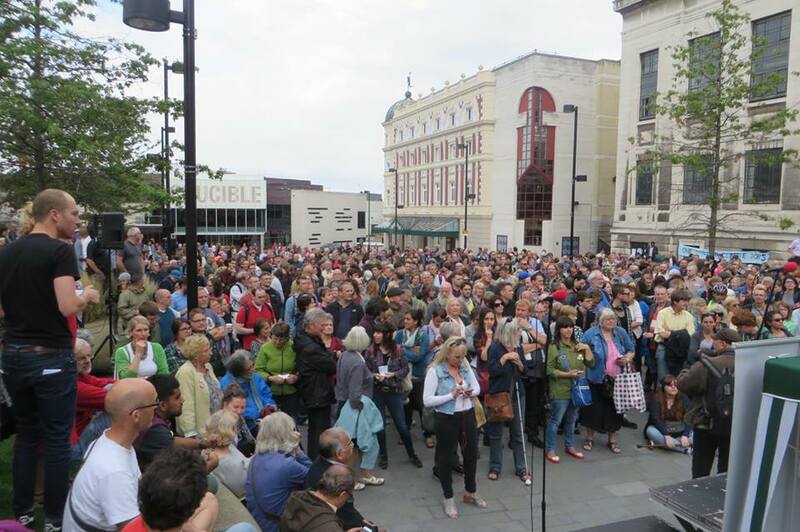 · The Bill proposes new heavy-handed restrictions on picketing and protests – striking workers will have to tell their employer all of their plans (including what they will post on Facebook or Twitter or whether they will use a loudspeaker) two weeks before they strike. 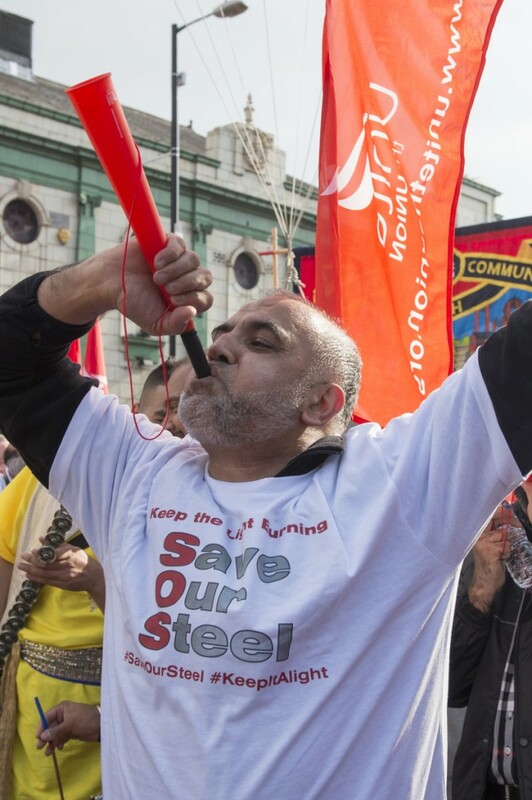 · Threatening the right to strike tilts the balance in the workplace too far towards the employers and that will mean workers can’t stand up for decent services and safety at work, or defend their jobs or pay. Every MP should recognise that their constituents have a right to lobby them, whether or not you voted for them. You can lobby your MP either in Parliament or at the constituency surgery which most MPs will organise on a regular basis. If they don’t have regular surgeries, they will usually list a phone number on their website where you can make an appointment to see them. 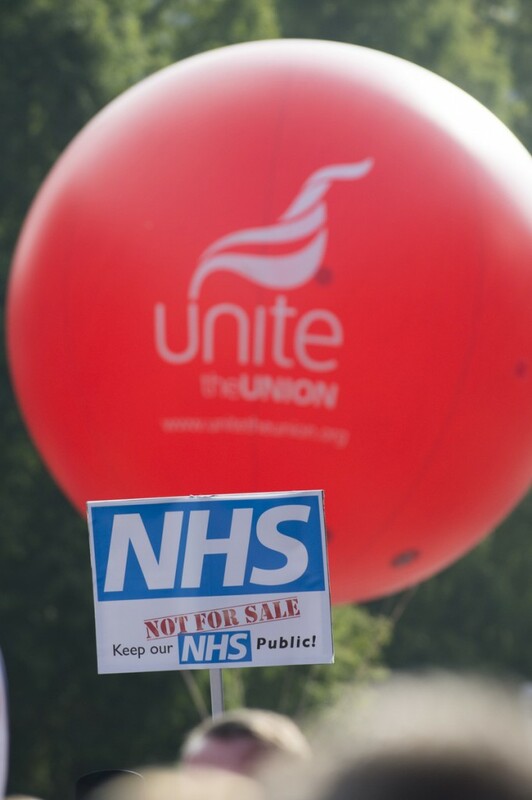 I attach here information the TUC’s Trade Union Bill Briefing, which gives full information about the Bill which you can use when speaking to your MP. 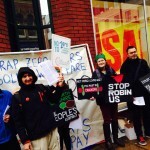 Organise a petition: download a petition here https://www.tuc.org.uk/sites/default/files/A4%20Petition%20for%20home%20printing.pdf. 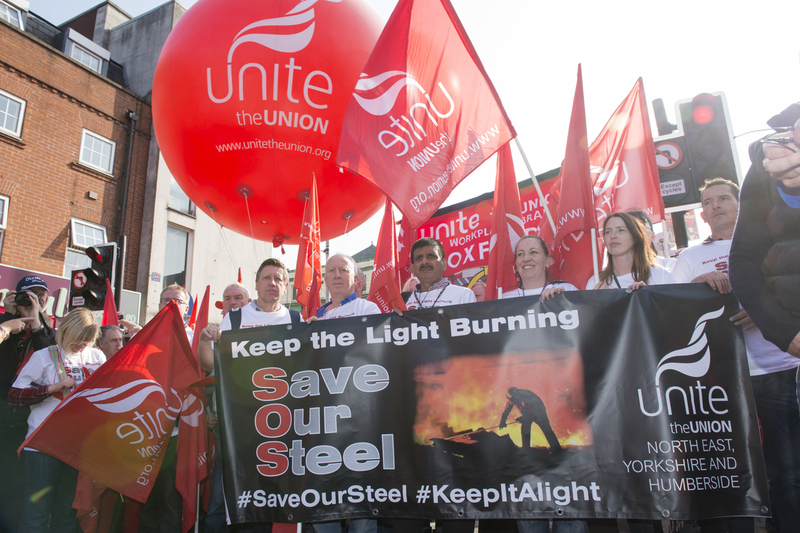 Send your petition to your local MP and email national TUC at Congress House at campaigns@tuc.org to let them know that you’ve sent it. I hope that you will find this information useful – please keep us informed of any campaigning work that you are doing in the region. 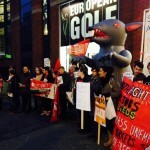 Comments Off on Fight the Trade Union Bill! 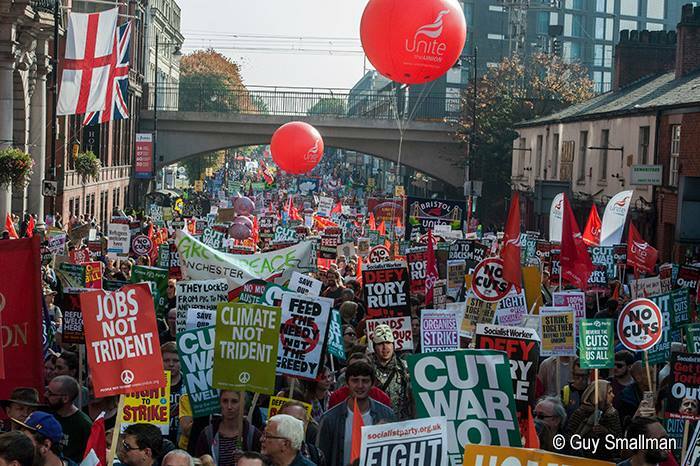 Unite on the March against the Tory’s! 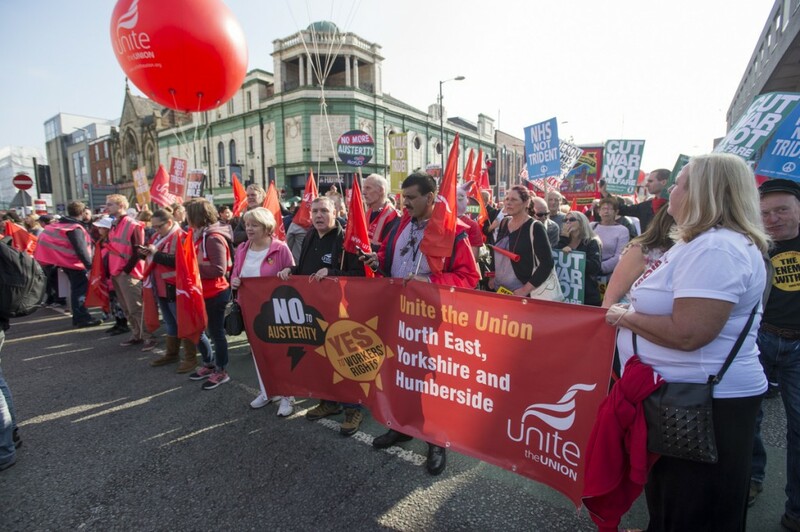 Unite Community members put on a fantastic show defiance against the Tory’s yesterday as they joined 1000’s of industrial members to protest against the Conservative Conference. please see below a few photo’s from the day! 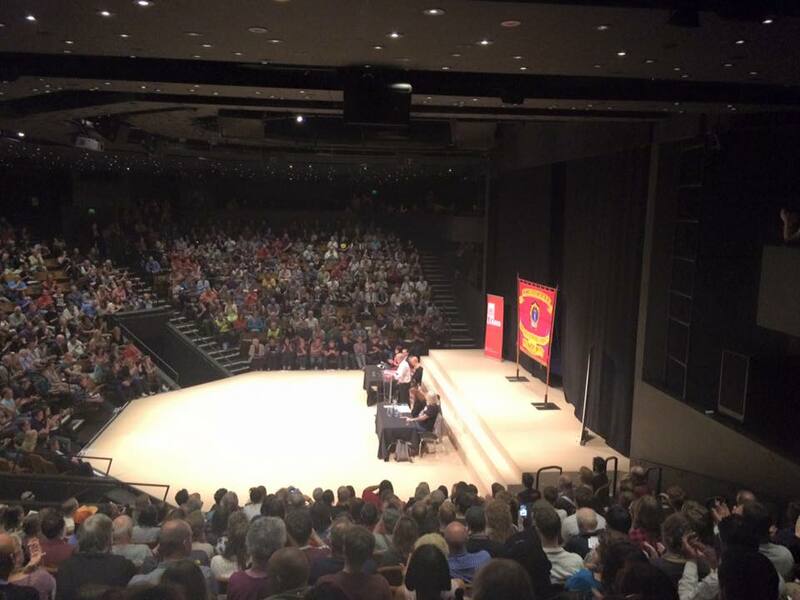 see if you can spot yourself amongst the sea of flags and banners! 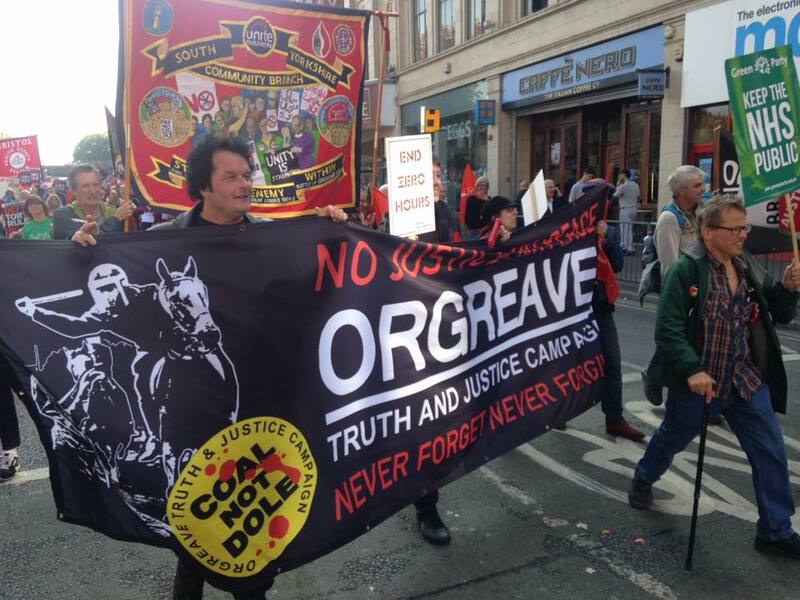 Comments Off on Unite on the March against the Tory’s! 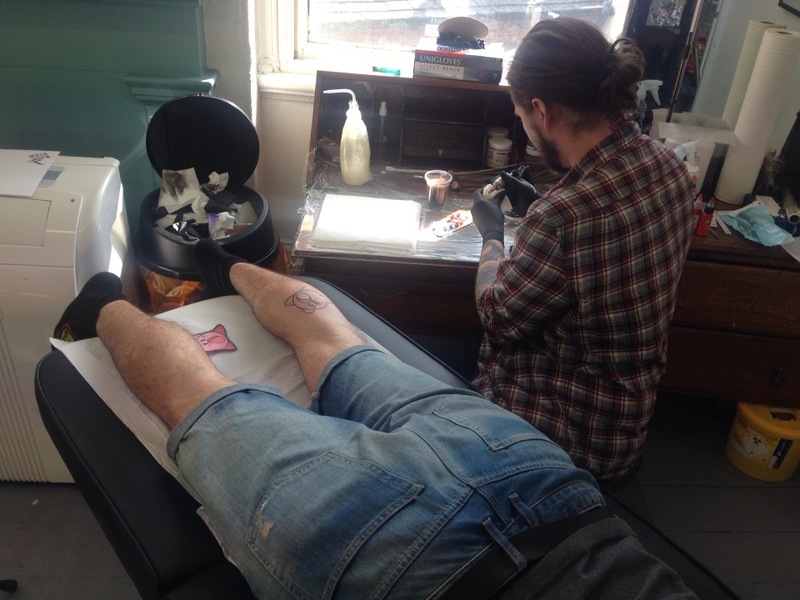 Red Tattoo Donate £1500 towards Unite Community ESOL Classes! 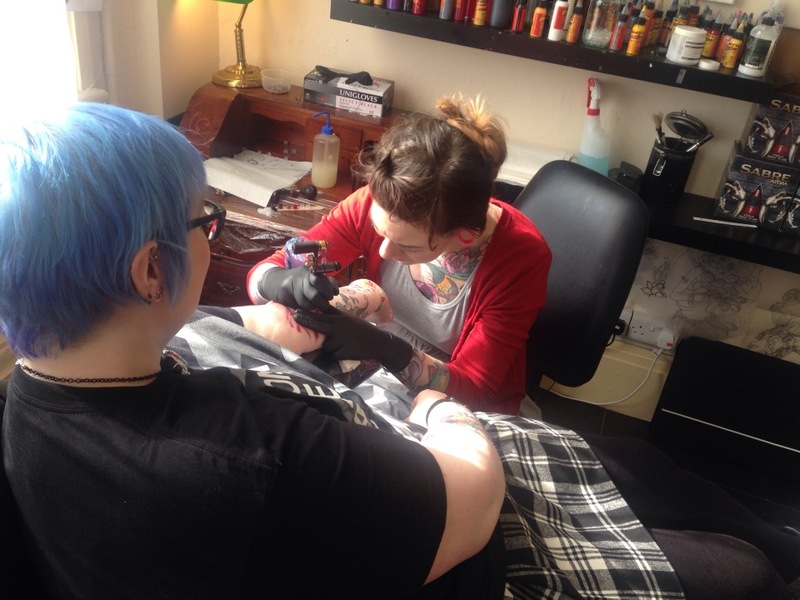 Barnsley Unite Community Activists would like to say a massive thank you to everyone at Red Tattoo and piercing in Leeds for their generous donation of £1500 towards our ESOL project link to the website here http://redtattooandpiercing.com/. 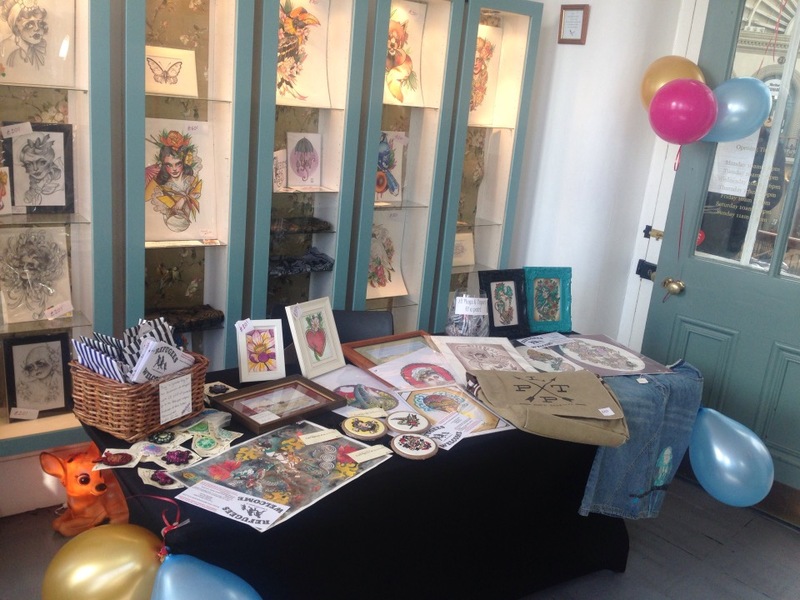 Red Tattoo donated a whole days takings from their shop as well as receiving art work, gifts, cakes and donations on the day which was sold to customers both new and old! Thanks again for everybody who helped! 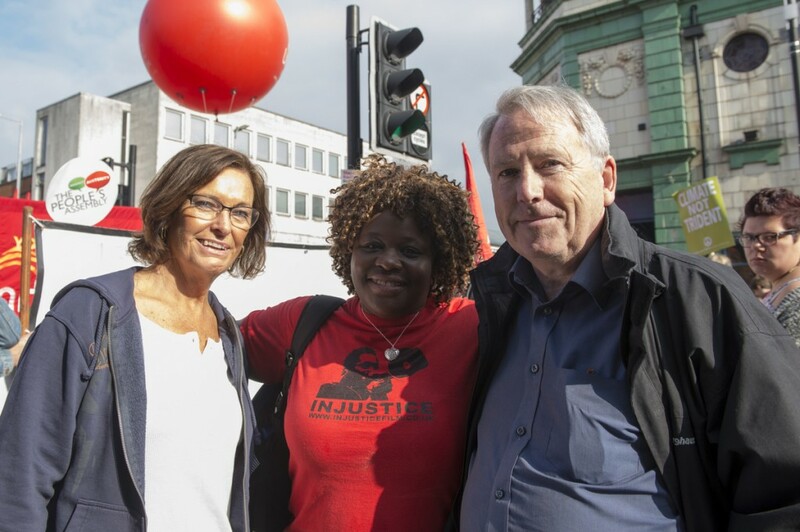 The donation will go a long way to help provide English Classes through the Unite Learning project which the Unite activists are planning on expanding. 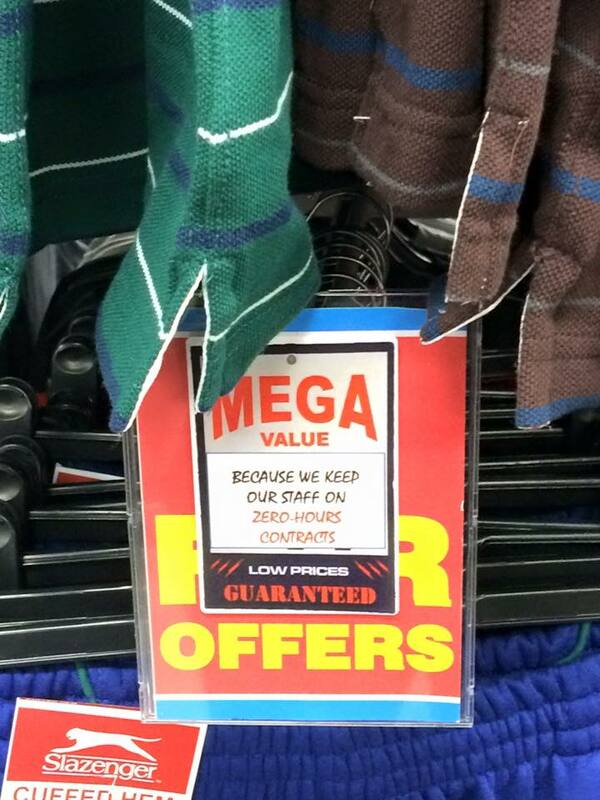 Watch this space for more developments ……………. Photos from the day below. 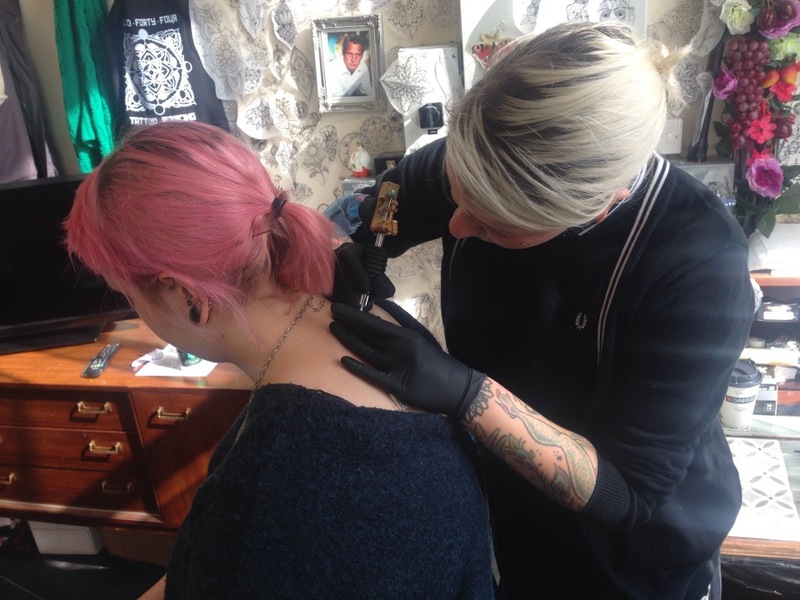 Comments Off on Red Tattoo Donate £1500 towards Unite Community ESOL Classes! 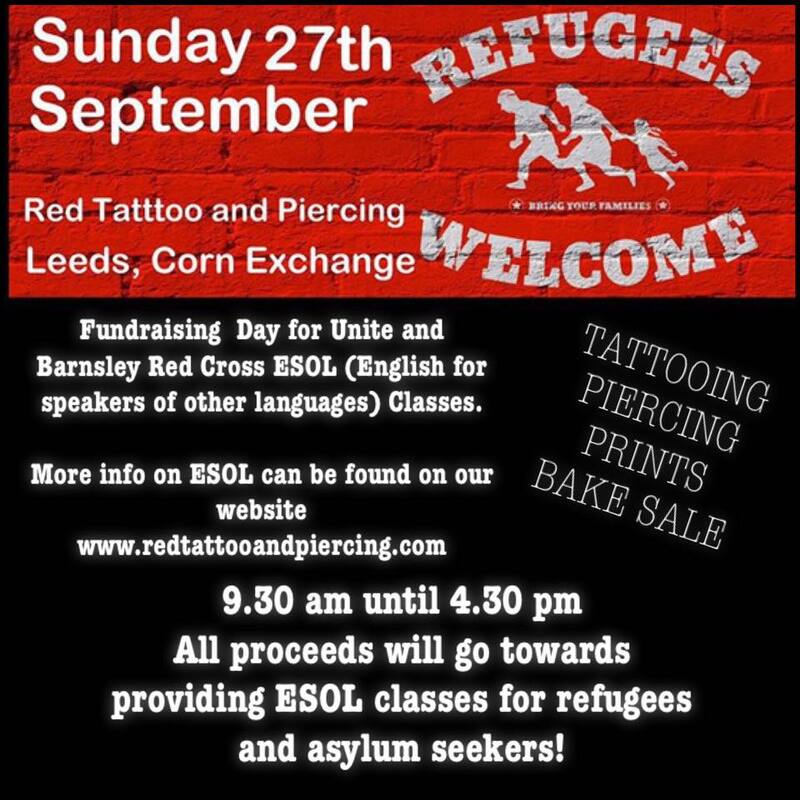 On Sunday 27th September we will be having a fundraising day for ESOL (English for Speakers of Other Languages). ESOL is run by Unite Barnsley Community Support Centre and Unite Community Branch alongside the British Red Cross as weekly drop in sessions to help refugees and Asylum Seekers learn English. 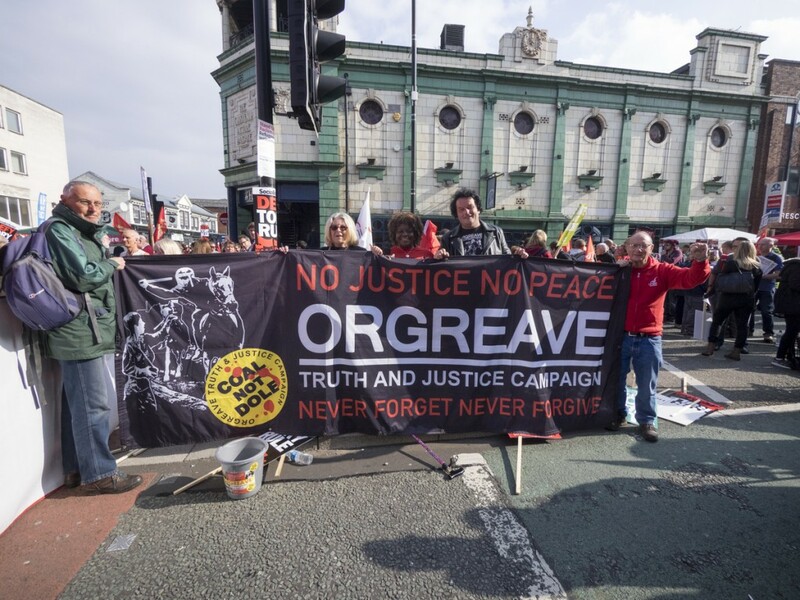 In order to deliver the course they rely on donations to pay for Unite Community membership (£26 per year) and room hire costs. 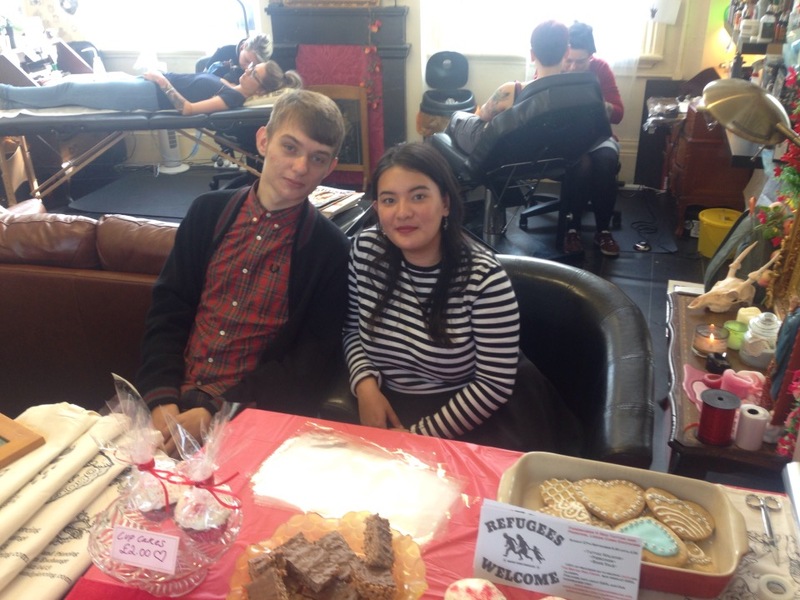 We hope to raise £1000+ for Unite so they can carry on running these wonderful classes! Below is some more info about Unite Barnsley’s ESOL Sessions and it contains a very moving story from Linda,who runs the sessions. “We started the sessions at the end of June and have 15 people every week and some days have had to turn people away as physically haven’t got the room to accommodate. 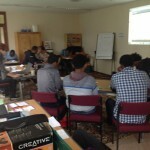 The students are from mainly from Syria, Eritrea, Iraq, Iran and the Congo. 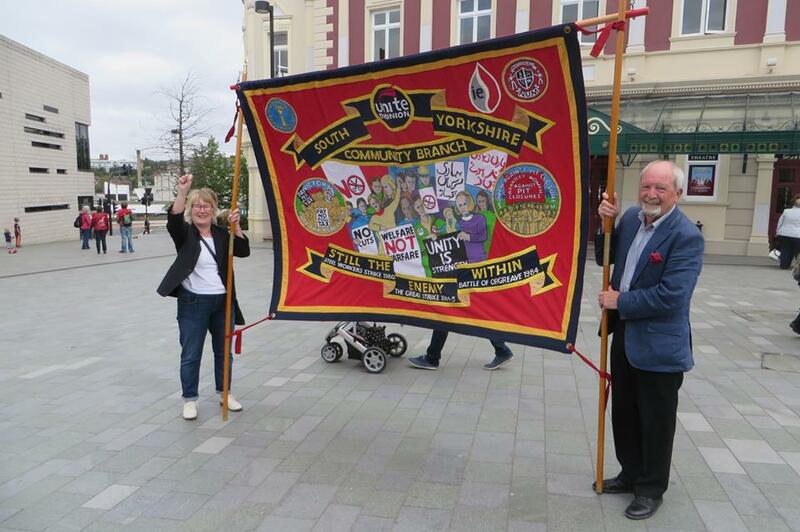 These people have all had difficult journeys in getting to Barnsley, but one couple really ‘got to me’. An elderly couple, a 71 year old Geography Professor and his Physics Lecturer wife in her 60’s from Syria. Talking to them after the class they told me how they had literally fled for their lives after seeing friends beheaded, their home and community burnt to the ground. I am not one normally lost for words but all I could do was give her a big hug. I cannot imagine my parents going through the same thing at a stage in their lives when they should be enjoying retirement and family. 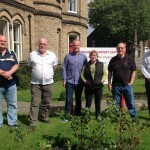 With regards to the ESOL Project in Barnsley, Barnsley is one of the designated towns that the Home Office disperse Asylum Seekers and Refugees to whilst there applications are being processed. They are given a meagre allowance of £36.95 a week to buy food and toiletries, if refused asylum this goes down to £35.39. 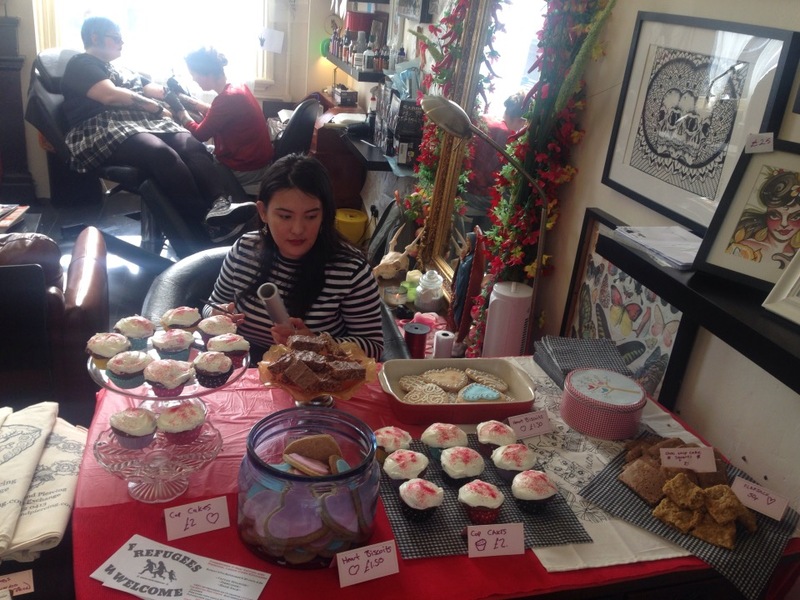 On the day we will have tattoo walk-ins and piercings all day as well as prints from various artists and a bake sale! 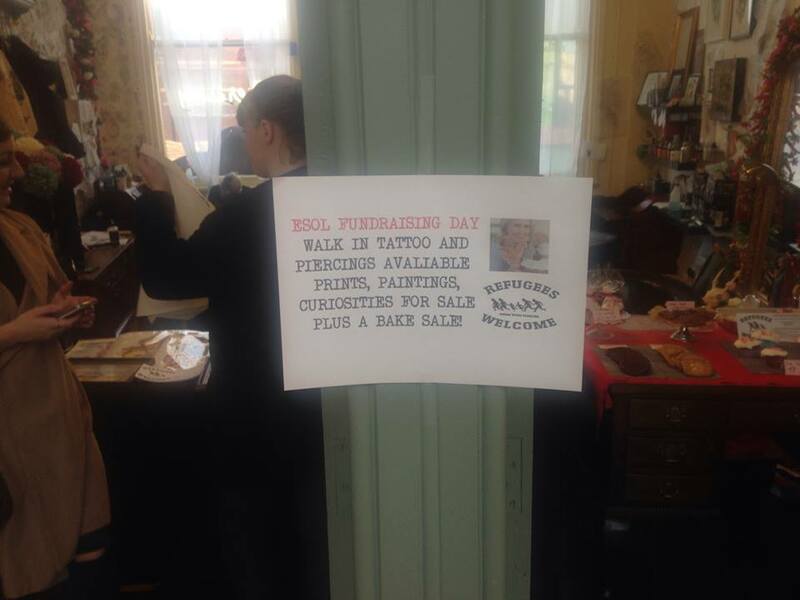 Our fundraiser will start at 9.30 am and all tattoos will be done on a first come first serve basis so the earlier you come in the better! We are also setting up a donation point in the shop for people to drop off clothing and other items to be sent to Calais! 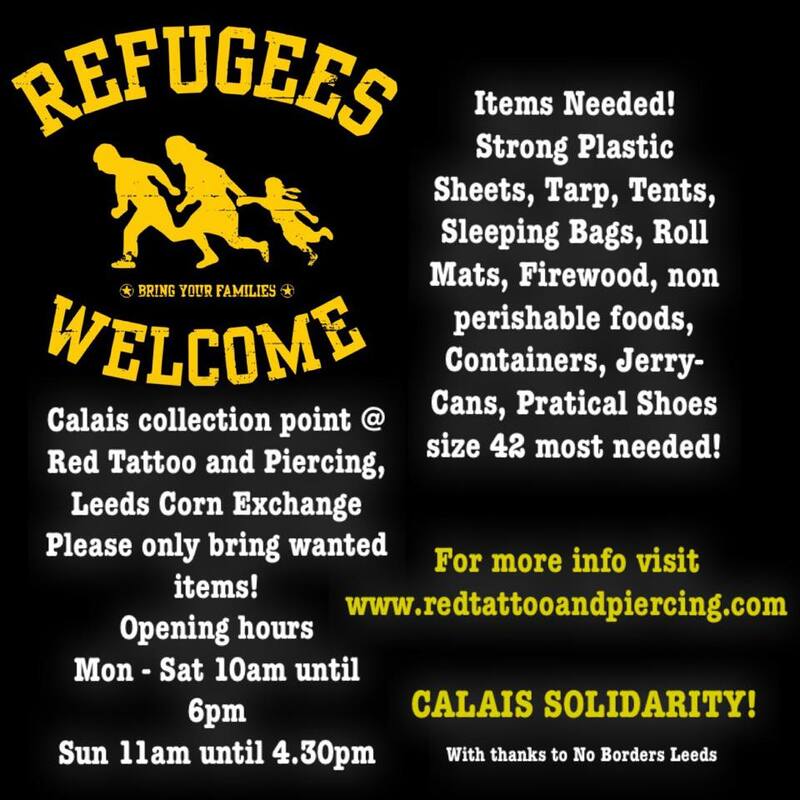 Here is a list from NO BORDERS LEEDS of everything that is needed! 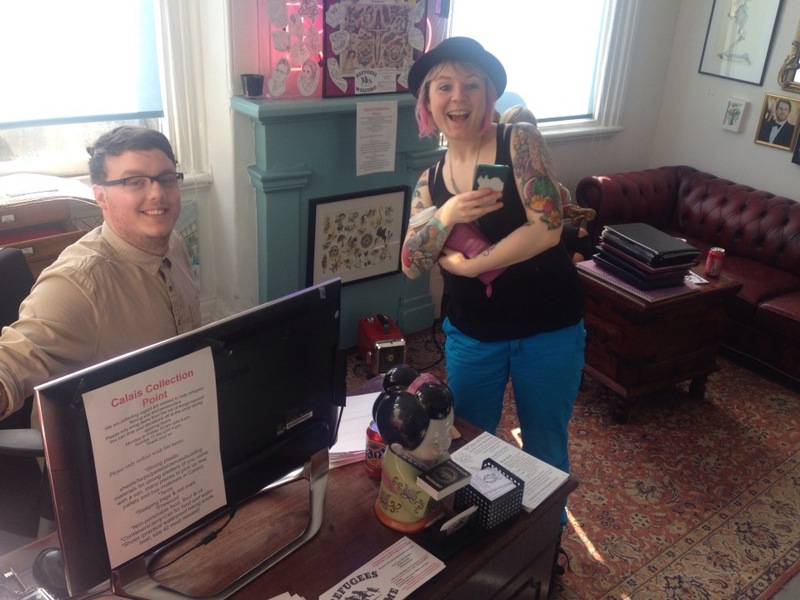 You can bring your donations to the shop during opening hours! PLEASE ONLY DONATE ITEMS FROM THE LIST OF THINGS NEEDED! We will start collecting from Friday 11th September. 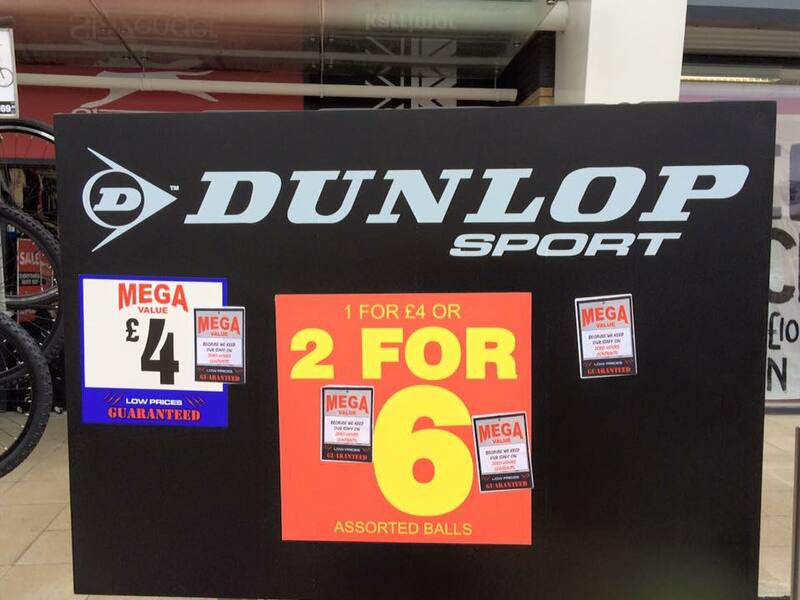 Take Action against Sports Direct! Scrap Zero Hours! 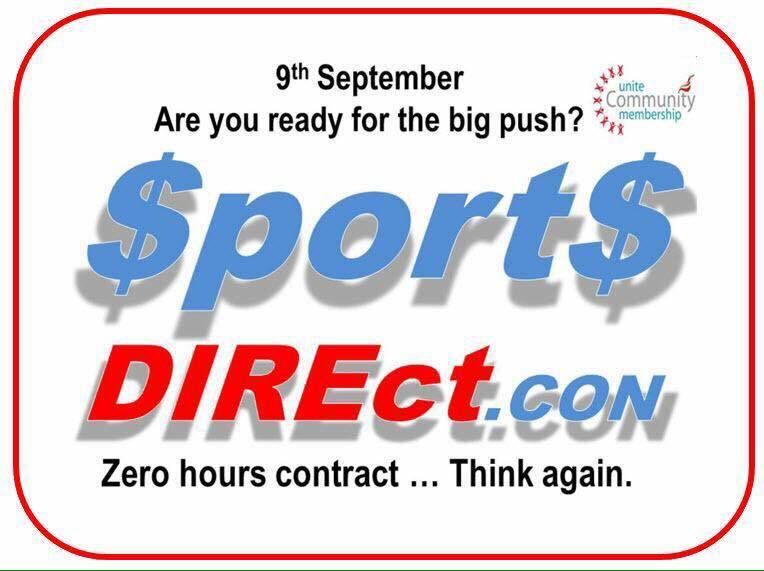 Trade Unionists, Community Groups and Activists Plan wave of Protest against Zero Hours September 9th! Get Involved! Direct Action Gets the Goods! Get Involved! Email Your Unite Community Coordinator for more info! 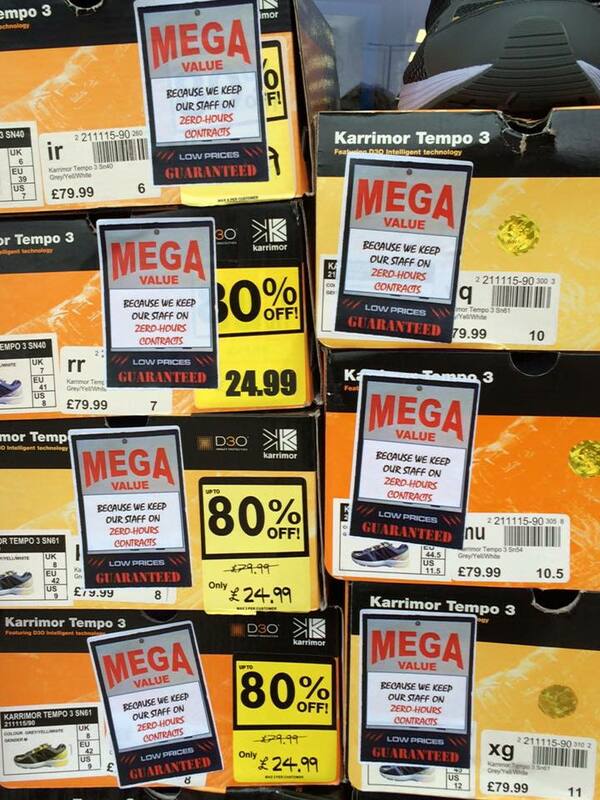 Sticker Campaign against the Rip off Sports Direct! 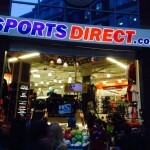 Comments Off on Take Action against Sports Direct! 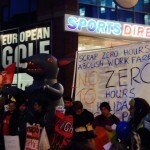 Scrap Zero Hours! 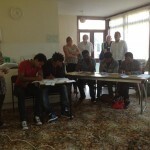 Busy day at the office yesterday, 15 ESOL learners in our class today, Richard Vivian gave a lengthy interview with Channel4 about the cruel and unnecessary welfare Reform and the devastating effects on our community’s, and on top of all that we had our fantastic colleagues from Unite Community Stoke on Trent visit us with David Condliffe! All in all a very good and productive day! 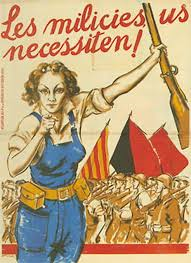 Recently one of our Unite Activists took part in a Tour of Barcelona to learn about, The Spanish Civil War, a pivotal event in working class history and with the defeat of the workers movement saw the rise of fascism across Europe. Below are details on how took book the tour, information and films.